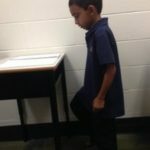 ADHD Student - Are You Teaching an ADHD Student? Have you ever considered moving your studio into a gym because your student seems to be a bouncing ball? They just seem to be bouncing off the chair? Have you ever felt motion sickness while watching your student complete their theory assignment? If so, then you have probably worked with an active student, a “busy” student, a “hyper” student or even a student with diagnosed (or undiagnosed) ADHD. Please note - I am using the term "ADHD Student" not as a label, but as a term to generally describe students who don't enjoy sitting still! I have extensive training in working with students (and foster children) who have special needs, and I hope that these tips will give you ideas on how to teach "outside the box" to support students of ALL Learning Styles! What are the signs of Attention Deficit Hyperactivity Disorder? Children with Attention Deficit Hyperactivity Disorder generally have problems paying attention and concentrating. They often struggle to follow directions. They may get “bored” as a coping mechanism when they become too frustrated with a task. They tend to move constantly and are often impulsive. An ADHD Student is also often good at math. They usually have excellent gross motor skills. They are usually creative, artistic and daring! And they are so much fun to teach! 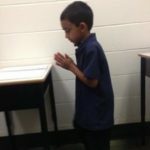 When teaching Theory to any student who struggles to concentrate (whether it is due to age, learning styles or a diagnosed condition such as ADHD), varying their body position can support them in successful learning. 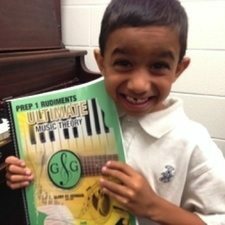 Look at the example rhythm in your Prep 1 Rudiments book, Page 48. Are you ready to have some fun? March steadily and count (ONE – two – three – four) aloud. Accent that Strong first beat! When you are FEELING that steady beat, look at the rhythm pattern on the music. As soon as you are ready, CLAP the rhythm while you are marching and counting aloud. Some students may struggle to march, count and clap at the same time. That is okay – it just means that they are not YET comfortable with multi-tasking their rhythms. Have the student march steadily and count aloud while you clap the rhythm. Then switch! You march and count, and your student can clap the rhythm. An ADHD Student will absolutely love Full Body Theory for Rhythm… and it supports ALL Learning Styles! Special Needs: Working with the teacher and taking turns will develop confidence in understanding the steady beat (the Basic Beat) and the rhythm. Remember - When a rhythm has rests, “open hands” are used to indicate the rest. Don’t clap a rest – a clap is a sound (a note) and a rest is silence. Did you know that Mozart wrote music that was played with his nose (and his hands)! If Mozart was born in the 2000s, I am pretty sure he would have been diagnosed as an ADHD Student. 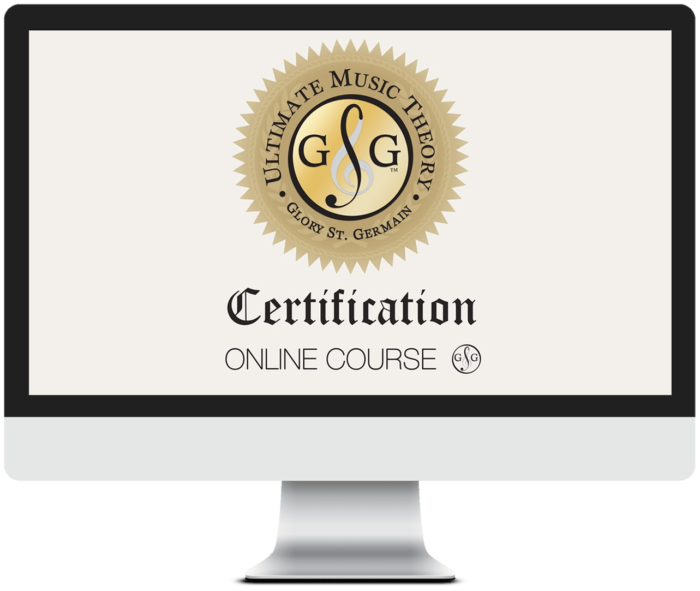 To understand more about Learning Styles and working with children who like to "learn outside the box", check out our Ultimate Music Theory Certification Course. Not only will you learn how to teach Theory more effectively, you will learn how to teach Theory to Students of all Learning Styles and Abilities. You will learn how to "teach outside the box" in order to engage, captivate and motivate your students - all your students!